The fully automatic machine for coffee and cocoa drinks. 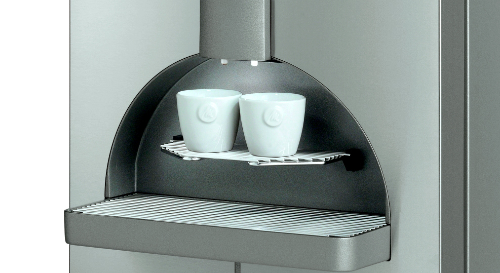 Comfortable output of two cups of any coffee specialty simultaneously. 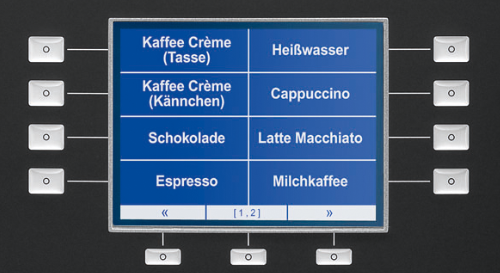 The large graphic display with its convenient menu function allows all parameters to be set easily and also keeps the user informed about all important and relevant statuses or operating stages of the machine. With the push of a button; in the right portions and featuring long-term reliability. Coffee output for jugs through an optional jug outlet. According to your demands. With a cash settlement system: coin checker, coin changer or non-cash payment systems. 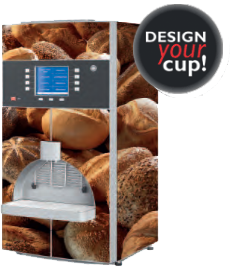 Attachment complete with integrated coin checker system and interface for connecting to one device, for all Melitta® cup models, attached on the right. 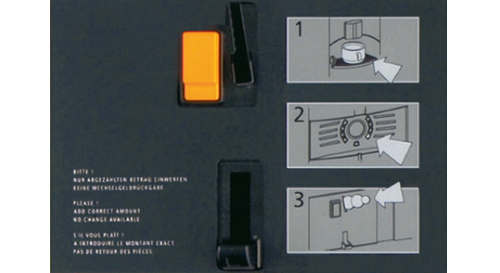 Attachment for connecting to one device, for all Melitta® cup models, attached on the right. With interface for cashless payment systems. Click here for brochures, data sheets and more information. 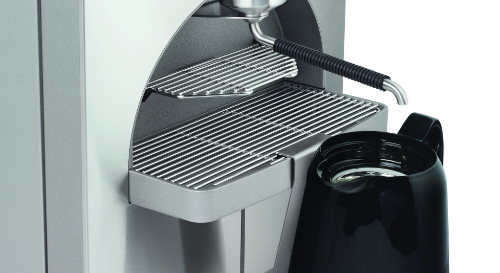 Design your own coffee machine - just the way you want it! You can use our software free of charge and without any commitment. Start our software and load any image. Straight away you'll see your image on your own cup / cup-breakfast.